All the things I write about...fishing, sports, music. One of my favorite times of year is May…Shad fishing, top water bass fishing, smallmouth fishing, carp come off the spawn at the end of the month…Trout fishing on the North Fork Feather is prime and the weather is AMAZING. Warm days, cool evenings and nights…just perfect. 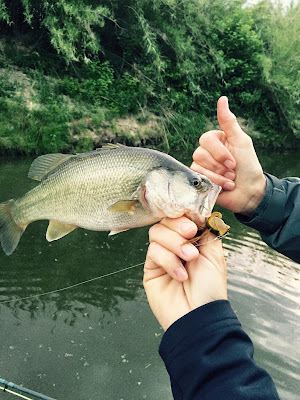 All that said I have been spending lots of time on the water guiding and with my kids fishing and enjoying May…Good news is it is not even half over yet. I have been spending all my time on the Lower Sacramento outside of Chico. 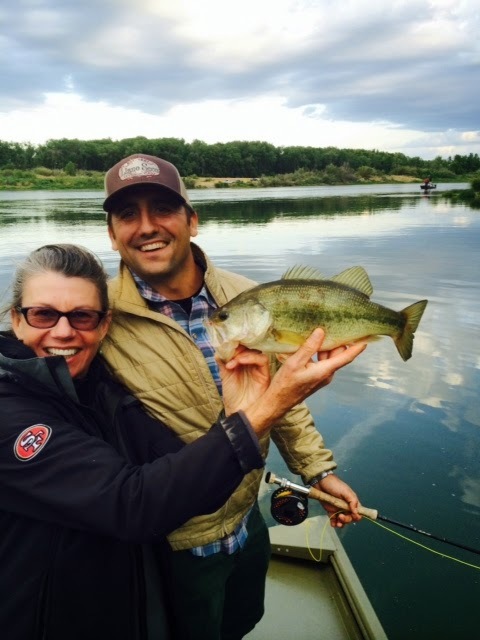 This is prime Shad, Largemouth, and Smallmouth time on the Lower Sac. Shad fishing has been good to great some nights. It definitely has gotten going early this year by about a week or two. Water temps are mid to high 60’s already and flows are around 5500cfs. Best bit has been about 5pm to 7pm on most nights and on most nights by 730pm it is nearly impossible to get a grab. Most of the shad are medium to larger males. I have yet see what I would call a “big” female. Most evenings with clients we have been fishing for shad from about 5-7pm and then throwing top water for bass from about 7pm-8pm. Topwater bass fishing has been exceptionally good with good numbers of fish in the 1-5lbs range. The sloughs have a bit of color in them and weeds are not up yet so fishing tight to the banks and timber has been best. As usual big frog patterns striped aggressively is catching the most fish. Some just crush it and some come up and inspect and count legs and then turn or sip…had a few monster come and inspect and turn away already this year. No Trout reports as I have not been on a piece of trout water in a few weeks. Still rocking the new, yet to be released, Chuck Ragan Album, and the new Red City Radio CD…I did listen to a bit of the new Mumford and Son Cd on You tube and I was totally bummed….no bueno. Seems like a commercial sellout but who am I to judge. The giants are playing well. Yes they are in 3rd place in the West, one game under .500, and 5 games back but they are playing good baseball. Their starting pitching has improved, situational hitting has been better – though the last week they have left A LOT of runs on the bases, runs they needed to win games, and Pence should get back soon providing a shot in the arm. The questions continue to rise about McGehee, how long is the leash with a .187 average after 27 games that and Duffy is hitting .297 with 25 games played and lately has been clutch. The news of Everet Golson transferring came as a bit of surprise but not really I guess after the bowl game against LSU last year and Kelly not naming a starter yet. I am a bit bummed as he seemed to have potential but I have to remind myself of sitting in the bleachers at last years ASU game, watching the turn overs ALL season, and wanting kill him on many Saturdays. Zaire is a good QB and with Golson transferring now Zaire will get all the work from here on out. Plus he will be with us for 2-3 more years. I respect Golson for graduating from ND and coming back after the academic suspension…anyone that gets a degree from ND and manages to play sports has my respect. He was a good player and helped turn ND back into a national power so good luck to him.